The following help-sheet demonstrates how a Supplier can be setup with a foreign trading currency. Before a foreign trading supplier can be setup, you must setup the currency & current exchange rate. 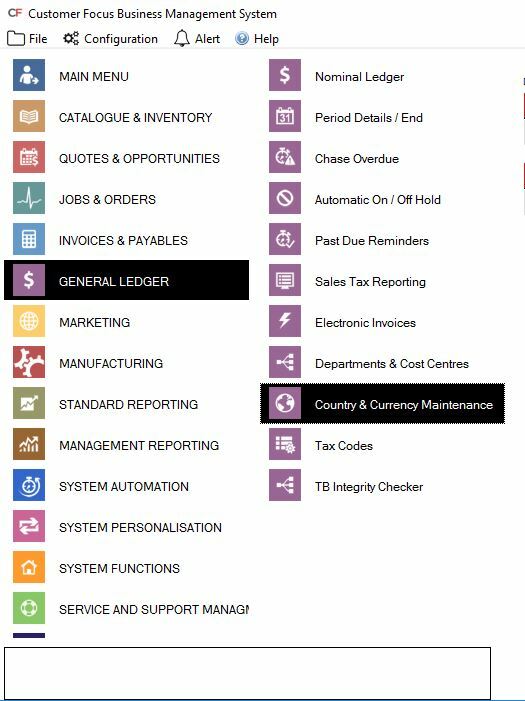 Currency setups are made within 'Country & Currency Maintenance' located within the 'General Ledger' menu. You will see the following screen. *This example is a standard list of countries provided with your Software Package solution. This list can be adjusted accordingly. 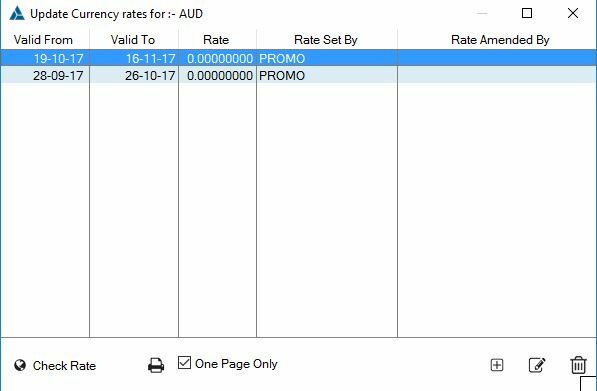 To insert a valid currency rate, click on the 'Currencies' tab on the top left. In this example a valid Euro exchange rate is created. Highlight the relevant line entry as shown above, followed by clicking 'Coins' at the bottom right. 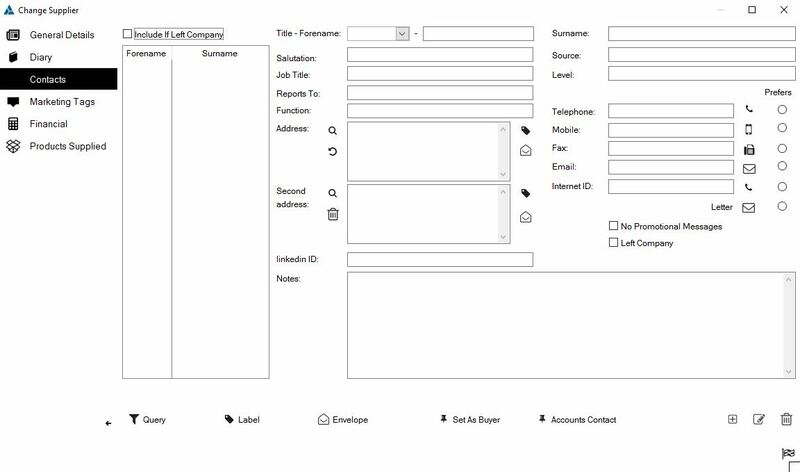 Assign the Currency settings to the Supplier by entering the Supplier Database and selecting the relevant Supplier, followed by clicking 'Change.' User must be 'Approved for Financial Functionality' (See System Functions > System Setup > Accounts Interface Settings) to have access to the 'Financial' Tab. The following screen will appear. Enter the relevant Currency and Tax Code as shown below and 'Ok' the changes.